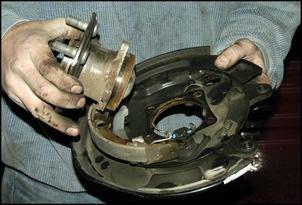 Upgrading brakes is an area where it is easy to get advice that later proves to be (expensively) wrong. To put that another way, people who say: “Oh yeah, just put on ‘X’ calipers and ‘Y’ discs” are potentially ignoring a whole bunch of factors that might result in the upgrade proving to be in fact a disaster. 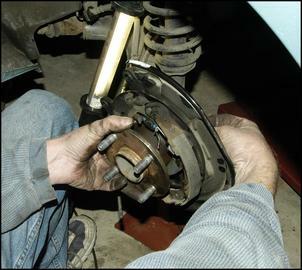 Try aspects like wheel clearance problems, the need for custom brake caliper adaptors, altered front/rear brake balance, master cylinder incompatibility, overall cost-effectiveness – the list goes on and on. 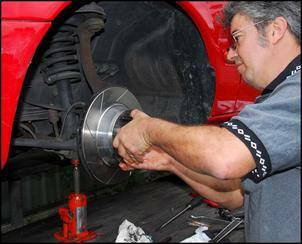 So let’s take a look at upgrading brakes, concentrating on changes that are low risk and effective. 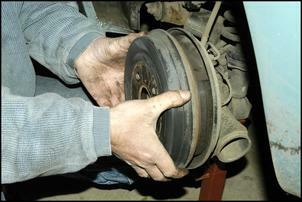 The easiest approach - and one that is likely to also be relatively low in cost – is to upgrade the brake pads, possibly replace the discs, and to ensure that the rest of factory braking system is in excellent condition. 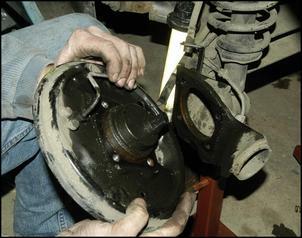 At the same time as better pads are fitted, the discs should be checked for run-out and thickness and then replaced as required, and any leaking or sticking calipers overhauled as necessary. 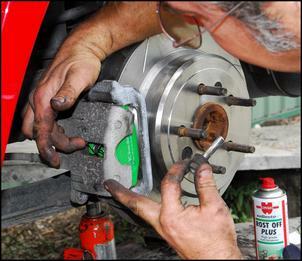 As the final step, change the brake fluid. … and EBC ‘Red’ pads. At the back new slotted RDA discs were again used, this time with EBC ‘Green’ pads. 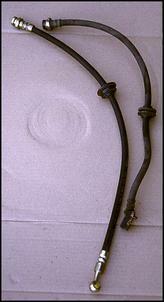 In the case of the Falcon, inspection showed that the master cylinder needed replacement. This was done and then the system filled with new brake fluid. The upgrade resulted in excellent pedal feel and progression, and very good performance at all sane road speeds, even when pushing hard. Taking the ‘upgrade the pads and discs’ approach means that you’re almost guaranteed a good end result – there’s no experimentation or guesswork involved. There will also not be any legal issues. 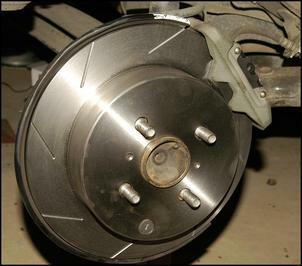 If you are new to brake upgrades, we strongly suggest that you follow this path. If your car is common and was available in differing performance versions, it’s likely that an off the shelf brake upgrade kit is available to fit. 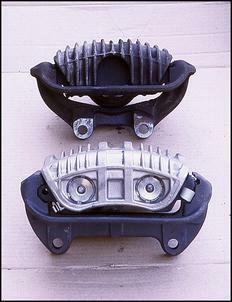 …and the original single pot caliper changed for a larger twin-pot design (front). …as was a custom brake caliper adaptor. With its use of (largely) factory parts and the frequency with which this sort of swap is done, this approach has a good likelihood of success. We covered an even more ‘factory’ upgrade in 2005. The car was the BA Falcon and the upgrade was fitting what was effectively the Ford factory Premium braking system. With this sort of upgrade you should have zero legal, fitting, reliability and performance issues! The next level of upgrade is to change hardware. 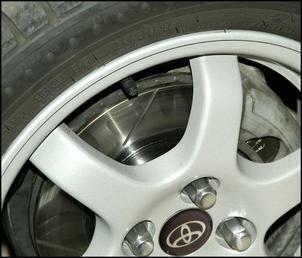 We performed an example of this sort of upgrade back in 2004 on a Toyota Prius. Being an NHW10 Japanese-import model, the car came as standard with front discs and rear drums. 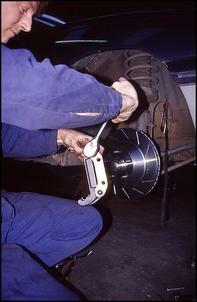 RDA slotted front discs were used with EBC ‘Black’ pads…. 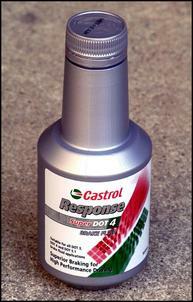 ..and the system was fitted with Castrol Response brake fluid. However, it was at the back that the major hardware changes were made. 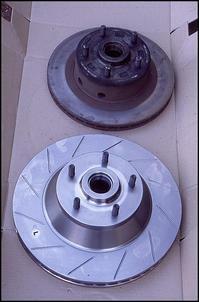 …as was the complete assembly comprising hub, bearings, ABS sensor and brake backing plate. …and then swapped to the Prius. Issues considered included ABS sensor compatibility, handbrake cable compatibility, the bolt pattern of the hub, the offset of the stub axle, how the stub axle assembly attached to the beam rear suspension – and so on. With the new rear assembly installed, RDA upgrade discs and EBC ‘Black’ pads were then fitted. Doing this sort of custom hardware swap is fraught with potential negatives – it’s the sort of thing that’s easy enough to do if someone else has done it and can provide step-by- step instructions, but it’s also the type of swap where problems can mean something that was initially considered to be a minor project becomes major…. and expensive. Your chances of success are greater if the parts are sourced from cars that are closely related. In the case of the Prius rear disc swap, and subsequent disc and pad upgrade, substantial improvements were made in braking feel, progression and fade-resistance. Brake bias, handbrake operation, brake pedal travel and ABS functioning were all fine. When considering brake upgrades, many people think of major hardware changes - for example, fitting Brembo brakes from an Evo Lancer to a Nissan, or Holden Commodore front discs and calipers to a Volkswagen. But for the DIY’er, this scale of modification poses major challenges. Don’t undertake this sort of swap without expecting to also change the master cylinder, caliper mounts, discs and potentially the wheels. It’s also very likely that some parts will need to be custom made. Anything is possible – and is achievable at home with the right outsourcing of processes – but such a project is a major exercise that might result in your car being undriveable for many weeks. You may also have ABS, brake bias and legality issues. 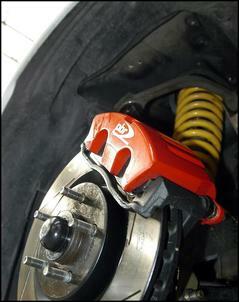 On the other hand, you’ll potentially have an unbelievable brake upgrade! Better quality pads, new standard sized discs and new fluid. Rest of system checked and working effectively. Known outcome, low risk and relatively low cost. No legal issues. Best for street driven cars with 20 - 30 per cent power upgrade. Straightforward factory parts swap, eg braking system components from higher performance version of your car. No change usually needed to brake bias valve or master cylinder. Swap works with standard ABS. May need larger diameter wheels. Known outcome, low risk and medium cost. Few legal issues. Best for street driven cars with 30 - 50 per cent power upgrade. Non-standard factory parts swap, eg mixing and matching brake parts of different models from a single manufacturer (or manufacturing group). 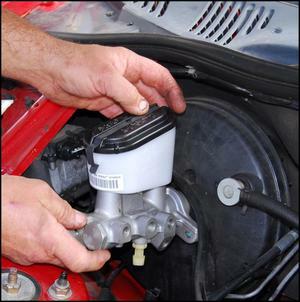 May require altered master cylinder, ABS (sensors, hydraulic control unit and electronic control unit) and brake bias – however, these parts should be readily available. May need larger diameter wheels. Less certain outcome, medium risk and medium/high cost. May have some legal issues. Best for cars where #2 above not available and with 30 - 50 per cent power upgrade. 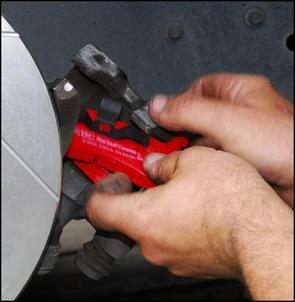 Major changes in hardware – aftermarket calipers and discs, component swaps between manufacturers. May require every braking component to be altered, and may need custom fabrication (eg brake hoses, caliper mounts, master cylinder mounts). Will almost certainly require tweaking to achieve desired outcome (eg manually adjustable brake bias), high risk and high cost. Has major legal implications. Best for fully engineered, very high performance cars.